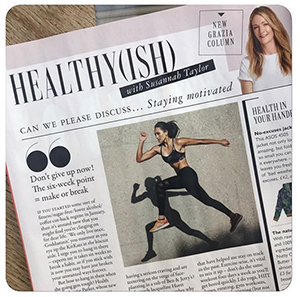 Grazia Uk published in January the HEALTHY(ISH) issue with the concept of saying goodbye to unreal expectations. That means reframe the idea of wellness as not a strict list of to-do’s but as a balance of doing things with moderation. 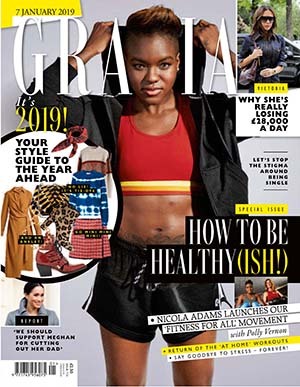 Grazia Uk in fact strongly believes in this concept that has introduced every week a new column inside the magazine with the famous Susannah Taylor. Moreover the brand teamed up with some talented trainers to put on a series of free fitness sessions…of course all spiced up with fun!